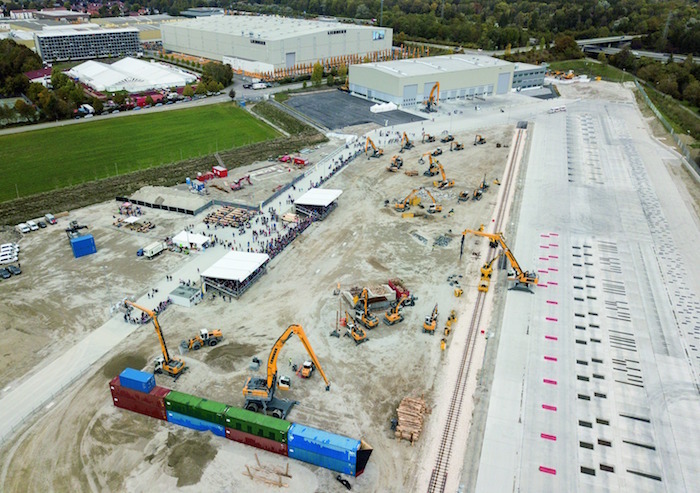 Liebherr, one of the UK's leading providers of material handling machines, has opened a €30 million state-of-the-art development and demonstration centre. The facility is located at the company’s Kirchdorf factory in Germany, which manufactures machines for the UK market. The centre will be used to develop and test new construction and material handling machines supporting the continued evolution and innovation in their design and manufacture. The 12.7 hectares site incorporates a testing hall, demonstration area and 1.2km test track where operational environments can be simulated, and machines put through their paces under the most challenging conditions. Around 1,400 visitors from all over the world recently attended the official opening of the research, development and demonstration centre. Guests heard a presentation from Rudolf Arnold, the Managing Director of Liebherr-Hydraulikbagge, partook in a factory tour and then watched a series of machine demonstrations before having the opportunity to be taken around the test track in a Liebherr machine. Hans Liebherr established the company that bears his name in 1949. Since then it has grown into a Group of more than 130 companies on all continents, with a turnover (2017) of over €9.8 billion and employing approximately 42,000 people. Today, Liebherr is not only among the world’s largest manufacturers of construction machinery, but is an acknowledged supplier of technically-advanced, user-oriented products and services.